These breakup quotes and verse are wise words about love, that can help to uplift anyone who is experiencing the breakdown of a relationship. Is someone you know going through the agony of a loved one leaving them? Sending them a card, letter or email, including one of these quotes can brighten their day, and let them know that you are thinking of them. Or, if it is you that is feeling broken hearted, try reading through these wise words and absorb their meaning and energy. 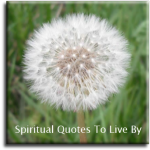 The quotes on this page are all from known sources, for more words of wisdom there is a page of Breakup Sayings from unknown sources. Painful as it may be, a significant emotional event can be the catalyst for choosing a direction that serves us more effectively. Look for the learning. The Lord is close to the broken-hearted and saves those who are crushed in spirit. The Lord is close to those whose hearts are breaking. Let no one who loves be called altogether unhappy. Even love un-returned has its rainbows. Love will find a way, through paths where wolves fear to prey. The heart will break... but broken live on. Know that no one is capable of making you upset, without your consent. Ever has it been, that love knows not its own depth, until the hour of separation. The most important things to say, are those which often I did not think necessary for me to say, because they were too obvious. I would rather be alone with dignity than in a relationship that requires me to sacrifice my self respect. The rain will stop, the night will end, the hurt will fade. Hope is never so lost that it can't be found. 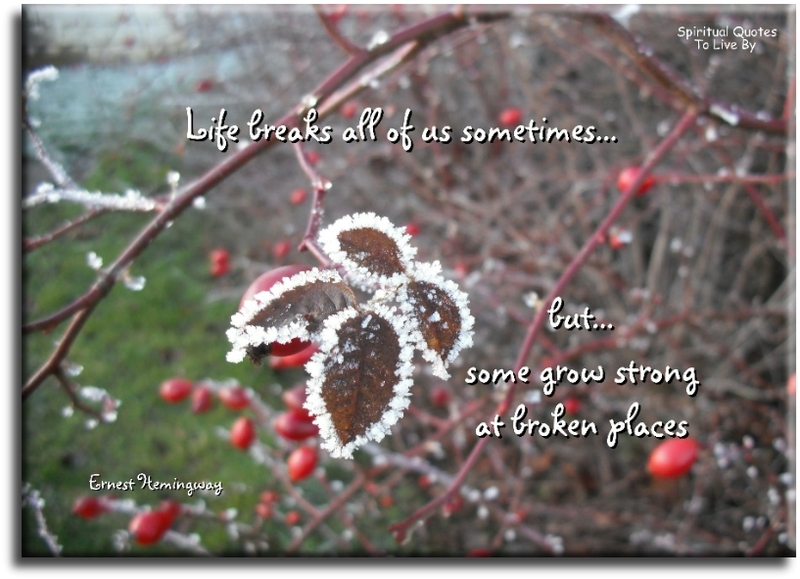 Life breaks all of us sometimes, but some grow strong at broken places. 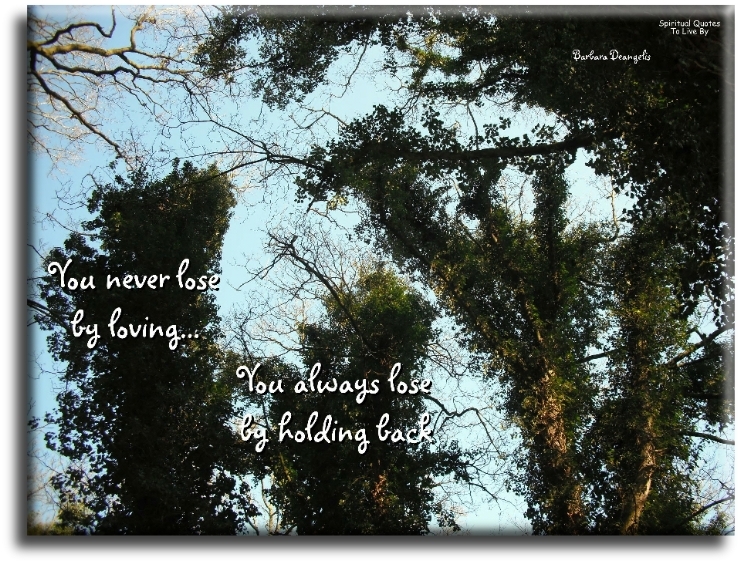 Some of us think holding on makes us strong... but sometimes it is letting go. Every adversity. every failure, every heartache, carries with it the seed of an equal or greater benefit. Rejection never feels good, but it certainly hurts less when we are not needing something from the person who is rejecting us. Sorrows are our best educator. A man can see further through a tear than a telescope. When we lose one we love, our bittersweet tears are called forth by the memory of hours when we loved not enough. If you don't love me at my worst, then you don't deserve me at my best. 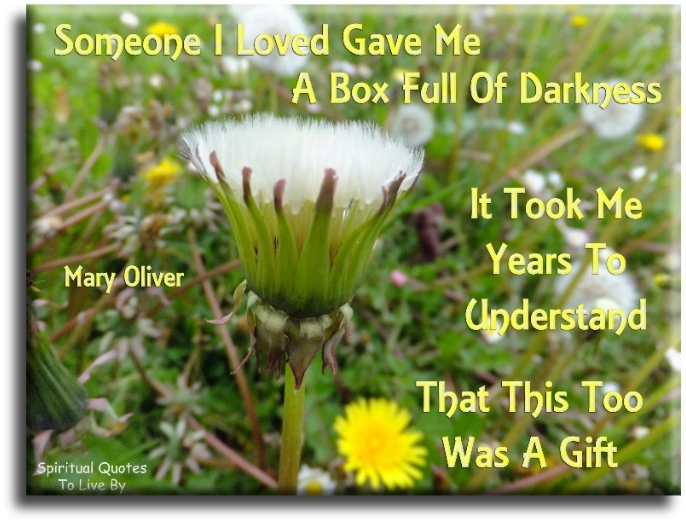 Someone I loved gave me a box full of darkness... It took me years to understand that, this too, was a gift. People should not judge failed love affairs as failed experiences, but as part of the growth process. Something does not have to end well for it to have been one of the most valuable experiences of a lifetime. We're not broken, just bent, and we can learn to love again. Sometimes you become stronger just by turning around and walking away. Absence is to love what wind is to fire... it extinguishes the small and inflames the great. You know it's love when all you want is for that person to be happy, even if you're not part of their happiness. Sometimes we may find that our partner continues to seek satisfaction in ways that we cannot live with. Nevertheless, when we decide to go our own way, we still have a choice as to how we separate. We can separate with bad feelings, blaming the other's faults and unacceptable behaviour, or we can separate with forgiveness, love and understanding. All love is sweet, given or returned. Common as light is love, and its familiar voice wearies not ever. Being with no one is better than being with the wrong one, because those who fly solo often have the strongest wings. Be that strong girl that everyone knew would make it through the worst. Be that fearless girl, the one who would dare to do anything. Be that independant girl who didn't need a man. Be that girl who never backed down. If somebody hurts you, it's okay to cry a river, but remember to build a bridge and get over it. In life and love, you learn that there comes a time to let go and move on. Just because something is over doesn't mean it wasn't incredibly beautiful. There are two ways you can go with pain: you can let it destroy you or you can use it as fuel to drive you. To truly love is to have the courage to walk away and let the other person who wishes to be free go, no matter how much it hurts. You need to be happy with yourself or you'll never be able to be happy in a relationship. It is best to love wisely, no doubt, but to love foolishly is better than not to be able to love at all. To love and win is the best thing. To love and lose the next best. Maybe one day we shall be glad to remember even these hardships. If someone says or does something hurtful, call upon Heaven for protection and healing. Do not take my breath away and then expect me to forget all about you. Everyone wants to be held, but are scared of being dropped. It takes a lot of love to learn that you can never miss somebody into coming back. Loving someone can blind you, just as easily as, losing them can open your eyes. Make a list of 100 things you love about yourself and then laugh, because you know whoever isn't with you, is missing out on so much. When the one you love leaves you it can cause a huge emptiness in your life, even if you knew that things were not going well. If you are suffering from a broken heart there is something that can really help to ease the pain. Emotional Freedom Technique (EFT for short) is a simple, easy to learn, tapping procedure that works for most people. I have helped quite a few people, to use EFT for heartache, and it has always made them feel better. To find out more, click the link above.